When we are young, we are a little unsure about funerals. We don’t like to think about death and we are uncomfortable being around people who are grieving. We don’t know how to feel, and we don’t know what to say. As we grow older and mature a little, we come to realize that a funeral is a response to death and that grief is an exactly the right response. And we learn that we really don’t have to say very much to a person who is bereaved. Just “I am so sorry,” and “I love you.” That, along with being there, is usually quite enough. A funeral is an act of love. And funeral homes and cemeteries are places of love. This is not a place of death. Death happens somewhere else. Look around you. Everywhere you turn there is evidence of love. People often travel long miles to be at a funeral. They do it because of love. Those who can’t come send cards and flowers. Every person here and every flower is the result of an act of love. A funeral, strangely, is a time of joy. Not only is there an outpouring of love, appreciation and respect for the one we have lost, but there is a great sharing of love among those who have come. There is a joy in being alive, a joy in being reunited with loved ones we have not seen for a long time, and a great comfort in the sharing of grief. There are moments in our grief when we see someone we haven’t seen in ages, learn something new, hear a story about the deceased that makes us chuckle, find a name on a spray of flowers or find something else that makes us feel good inside. That good feeling is joy, and the tears that flow with that feeling are tears of joy. It really is good for us to be here. A funeral is a time of remembering. We remember the one we have lost. We remember the many good times we had together, the stories we shared, the triumphs and tribulations, the joys and disappointments, the laughter and the tears…and we remember how much we will miss him or her. A funeral is a time of reflection. 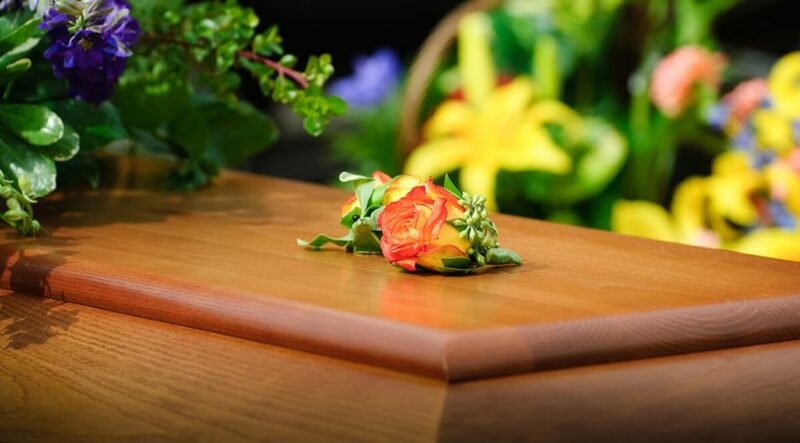 When you visit a funeral and gaze on the person lying there, do you ever imagine yourself there? Do you wonder who will come to your funeral, what they will talk about, who will send flowers or call? What will they say about you when your turn comes? Who will preach the sermon or read words over you when you are lying there? A funeral is a time of hope. 20 But now is Christ risen from the dead, and become the firstfruits of them that slept….